During the tour instore in Rome, Gianluca, Ignazio and Piero, had an interview in the headquarters of the newspaper Repubblica, with the journalist Ernesto Assante, who was never very generous in his praise of IL VOLO. This resulted in an interesting interview that I translate for you. There is only one video, unfortunately not very qualitatively beautiful, but that shows us our guys perfectly at ease. G = A band? An unusual band. I = (after the acute) Sorry, sorry. Assante = He wanted us otherwise they think you are fake. Assante = Because they have the big voice, they are not IL VOLO, who knows who they are (he jokes) …. Gentlemen, welcome, it is the first time we meet really, we had only heard once by phone, long ago. 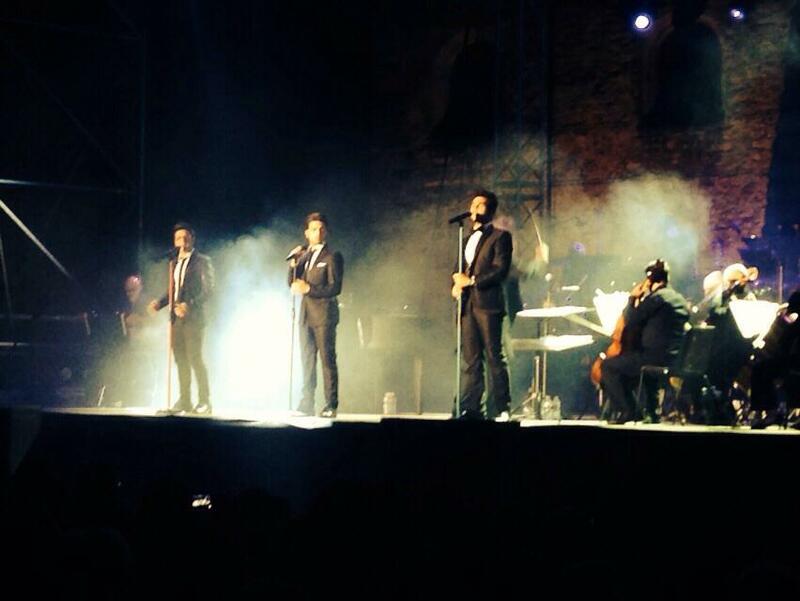 Start by a question, really stupid, stupid, stupid ….. How did you become IL VOLO ? – a band that has a great success with the public, a sequel and a warmth – a love, so great, be of the boys , therefore maintain a “normal” life in a condition that has nothing normal, you grew up in public, you grew up on television, in front of people, you were little, you’re not anymore, you’re soon bigger than me … then, how difficult it is grow this way, and if it did you good or bad. P = It is not so difficult, I must tell you that we three have the same past in common, and the same adolescence, fortunately we met at the age of 14/15, we live for music, for the greatest passion that we share it. It takes much “group spirit”, but the fundamental thing is that we do not tolerate the teasing and the whims, do not exist in our group, then, we help each other, we support each other. G = Maybe we sing a kind of music that is close to people, also because they are our traditions, it is our music that is the “bel canto” which is then appreciated above all abroad. So, maybe that’s why we approach the people, we also saw the more than positive result of Sanremo, a podium, after the victory of 2015, we are happy with the result. Assante = Damn, actually you were first, more than often, during the week. So, beyond what you’ve just said for the relationship with traditional Italian music, why do they love you so much? What are your strengths? Assante = What do you transmit to people? I’m interested in your point of view. I = Maybe because ….. I think that the musical genre influences the personality of the person, a person who does rock and roll, influences his personality. We have always maintained what have always been our personalities, always with humility and with passion of what we are doing. So the key to getting to people’s hearts was that, so they love us so much and follow us. P = Because there is nothing built. I = We are so off stage and on stage, during an interview and during a lunch. P = And according to you, why? I = He cannot explain it. Assante = The thing that has always surprised me, is your passion for traditional music, being very young, this is not normal, if it were so, all the boys of your age would sing romances, or arias. Assante = Let’s say that the thing that surprises, in this country, but that has also allowed your success, because you are the only ones to be young, and to do a type of traditional music. G = It is clear that normality is not even, having so many tattoos and talking about drugs in songs. Assante = But no, of course. G = Let’s say that normality does not exist. G = Exactly, then everyone tries to express their passion, in the end we do nothing but do what we like best, SING. Then, that this is a musical genre that is heard more by adults …. P = But it is not true …. Spotify gives us a good answer …. but maybe because we are the only ones to do it, after many years, and we are the only “young”, because our goal, we always have said, is to bring this kind of music, which was born right in our country, and maybe even a little “forgotten”. No young man has EVER proposed it again. Assante = Let’s start again from the initial question. 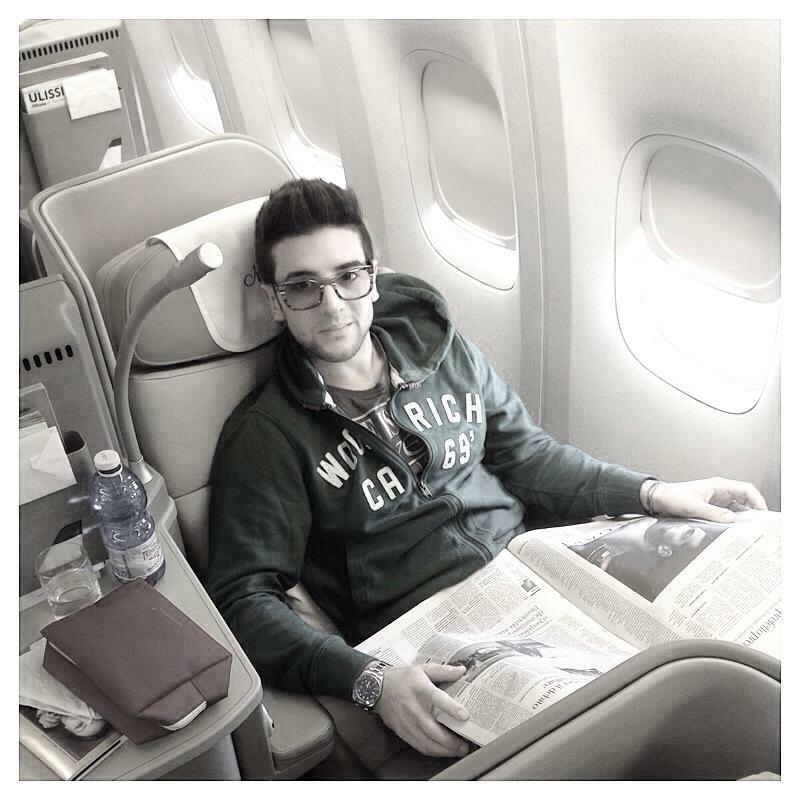 Before doing IL VOLO, what music were you listening to? G = Look I tell you what I was listening to: I grew up with Gaber, Guccini, De Andrè, (Italian singer-songwriters) so, you figured, completely different things, my father inculcated this style, then, growing up, I became crazy, completely John Mayer. I love the guitar a lot, even if I do not play it, but I love a more acoustic genre. My greatest idol, however, has always been Andrea Bocelli, that made me really approach this vocal genre. P = But each of us has different tastes, different personalities, I have always listened to the classical world, I love Elvis, I love Queen, but in the shower, I listen to the classics, Pavarotti, Domingo, this kind of music, I really like Julio Iglesias . Assante = (indicates Ignatius) and the rocker here? The boy with the tuft …. Assante = However, this is noticeable, that is, that your singing styles, especially when growing, have changed, there are those who are more linked to opera (Piero), who has a middle ground (Gianluca) and who, above all in Sanremo it has been noticed more than the other times, I do not say that he has freed himself from lyrical singing, but has sung with greater autonomy (Ignazio). I = It’s not, I could not wait, but it’s what I am, so it’s me. Assante = This allows you to do different things too, are you working on a change, an evolution? I = It is not so much a change of ours, it is more pulling out what we really are, rather than a change of what we do. P = But that was the biggest victory. G = But we have to travel on two different tracks, because what our international public wants, it’s just the Italianness, just the made in Italy, that maybe in Italy, for that, there’s a bit of snob about it , as if sometimes we were ashamed to be Italian. Assante = But sometimes it’s not like that. G = Sometimes unfortunately yes. Assante = But try to think, the French listen to a lot of music, French, but modern. We Italians, we have a traditional repertoire that for us Italians is old, but for an American, it is not. P = Excuse me, I want to say this, we do not do anything strange abroad, because we are famous all over the world? 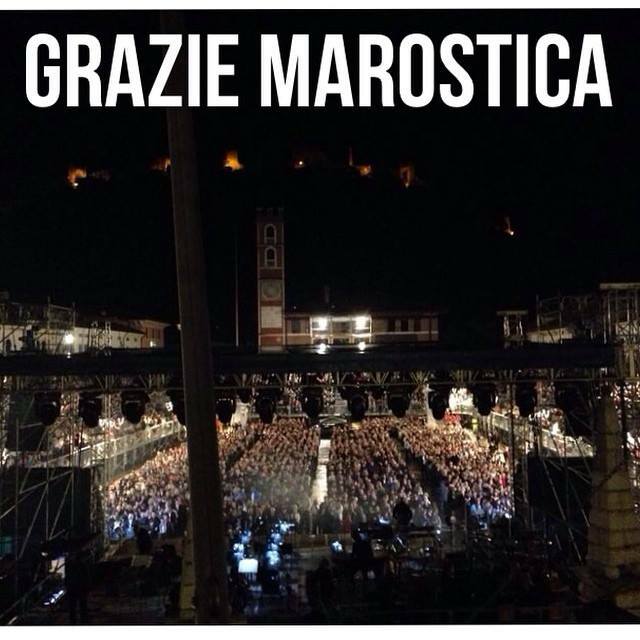 Not because we are better than others, but because we sing this kind of music that is famous outside of Italy. If we take a look at the past, the only Italians who have succeeded abroad, and abroad I do not mean South America, which is like Italy, but Europe, North America, Japan, all those countries, were Luciano Pavarotti, Bocelli and vabbè Modugno, but it was a special case. But Pavarotti, Bocelli, Il Volo, have one thing in common abroad, the same kind of music. Assante = I agree with you, it’s like us here, like rock and roll, and true rock and roll, no one plays in Italy. If you feel the real rock and roll, you love the original. I = What do you think about Achille Lauro? (in Sanremo he sang on a rock and roll rhythm) because there is a bit of rock and roll. Assante = I confess that I find that the piece of Sanremo is very beautiful. It’s a rock and roll piece and it’s fun. I = I like it too, I confess that I’m not the type that listens to the text (the song by Achille Lauro has been much disputed because it talks about drugs), I only listen to music, I have to listen to music, for me the text goes into the background. Assante = I like that too, it’s “reckless life” updated to the times. I found it nice, frankly, but let’s get back to your piece. I too appreciated this piece of yours, more than on other occasions, just because you seem more free, in being each of you three what he wants to be, that is, each of you three is finding his way. P = Excuse me, but this album MUSICA, crown 10 years of career, is the tenth anniversary of IL VOLO. 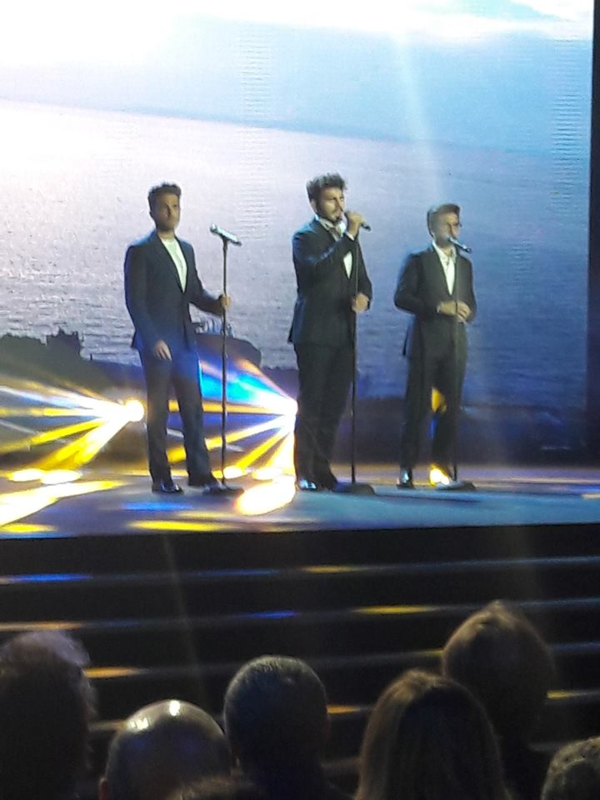 If you read the titles, see the three personalities of IL VOLO, because from an “Arrivederci Roma” which is a genre more like an American crooner, it represents more his tastes (of Gianluca) there is a “Be my love” which is a classic, then there is a “A chi mi dice” where the voice of Ignazio prevails more. Let’s say we give vent to our personalities. G = Even the second single, “Vicinissimo” marks a path of more contemporary sounds, we are no longer linked to the too classic world. P = You know we never sang it live. G = No, so it’s not good and then it’s bad, if it’s done like that you do not like it and then it’s bad. Assante = Do not be, never. There is something that you could do to me, so at the moment, even if only hinted at, you can also say no. G = Let’s say “ A chi mi dice”, do you know the chords, Ignazio? G = It looks like church, you see, it’s difficult. Assante = It’s okay, you touched the key point, to someone like me, who are a music freak, you can say to me, I’m unpleasant, bad, but I’m a fan of music and what I like is this, the ability to be wrong, to try to play a music, not to think that you are, as you were born, a television product built at the table. I like to discover that you play the guitar, that you sing the pieces that you like. G = But we want them to come out well. Assante = On that we agree, but you understand what I mean, you have a matrix of a television program, a talent, which has given you the imprinting, and getting rid of imprinting is not easy. P = It is clear. P = It’s not like we do rock. G = Absolutely, but there is the fact that we begin to have our repertoire, we are not always tied to the “covers”, always things already done and redone, that people say, “Oh well we have understood, now enough”. So there are already three unpublished and for us the beginning of a change, because however we are preparing a new project, for the end of the year, then in 2020, we will do two years of tour, even releases of new albums, we are starting to have a new important path. Assante = Is it difficult to get along in three? You know that the real bands quarrel a bit, because to be together, they cannot always love each other. P = But we too, it’s a bit like marriages, cohabitation is not so simple. Also because we have not chosen ourselves, we have been put together, but the important thing of our group, I think is mutual respect. In the end we get along like this. G = Beautiful the booklet (of the cd) right? It is very elegant. Assante = Yes very elegant and beautiful. G = Did you still want to ask a question? Assante = Yes, the last one. 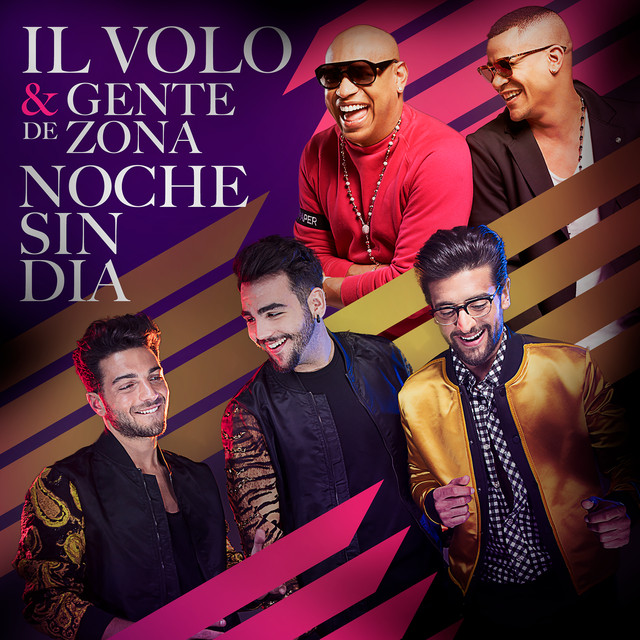 Between making records and singing live, for you, makes the difference, that is the idea, so that someone like me can fall in love with IL VOLO, it’s the concert, go and see you, as it was for Sanremo …..
P = You’ve never been to one of our concerts? Assante = No, unfortunately not, Danilo (Danilo Ciotti, press office of IL VOLO) has invited me so many times …. Assante = It’s the easiest thing. P = Together with Castaldo, arm in arm, so he will give us a 6 1/2. Assante = I objectively, on the 6th at Sanremo, I gave it to you, and also for me it was the first time, live, you gave an idea of conviction, of truth, in that song, singing it just as you wanted, that according me, it was not yours before. I = Look, being in three is sometimes a fortune or misfortune, you know everyone has their own personal idea. I personally, with all due respect, never imported me 5 1/2 or 6, because in the end one must not go chasing the vote. P = Long life sincerity. I = I am like that, I think that an artist does not have to chase votes, if an artist likes, likes, if he does not like amen, there are many other artists that can be heard. For us, say 5 1/2, 6, is our way to say that slowly, slowly, we try to make ourselves appreciated by people who are always very susceptible to us (the critical and journalists), also because often, in Italy, but a bit in general, it is used to have prejudices, without knowing people. A little like Castaldo, he did not know us, when he met us, he finally realized that we are three simple guys. G = As he believed, even worse. I = Three guys who like to joke, we are not set, as he thought, and that’s the problem, nobody goes chasing the votes, one just wants to be known, to be understood. Assante = The result of Sanremo was right for you? I = For us yes, for someone else maybe not. Assante = For someone else actually not, but it was the result seemed to me balanced, the three juries were three different juries. P = Only one thing, in my opinion, maybe I’m wrong to speak, but maybe they had to give a little more recognition to Bertè. Only this, for the rest, was right. Assante = You’re right, in the end it was fourth. I = In the end we talked about it. It is not Sanremo that makes the classification, finish first, second, third, fourth, but it’s all week, also because Sanremo, it’s not the end, but the beginning, it’s a little like when we won, that Nek said, “Now you have to show what you can do,” and he was right. Anyway it’s true, everything starts from there. P = On the contrary, this has also stimulated us, we thought we had to give our best. I = Start everything from there, the promotion, the CD, the tour. You have to be focused, because in any case on tour, ours is a fairly difficult repertoire, and so you have to always be focused, make a date after another, travel. G = It is always necessary, in my opinion, to know the managers ……. because fashion, you can make a song that lasts a month, two months, three months, if you do not do another one, it’s trouble. Assante = The thing that I want to know, if the return of listening to Sanremo, there was, as today there have been here the Zen Circus (other participants of Sanremo) and have said that many people who would not have them never listened to, seeing them in Sanremo, now they listen to them. Certainly there is a part of the public that, looking at Sanremo to see Zen Circus, Achille Lauro, Motta, discovered IL VOLO, beyond your popularity, there was someone besides me, who did not listen to you, and now, yes? Assante = But people, people’s reaction? There was much more young audience. Assante = The Spotify effect has been seen. G = The Spotify effect, yes, certainly more than in the past, because the song is slightly more modern. Our audience is not exactly that of Spotify, which is also listened to by 15-year-olds. But there was a super-positive response also from the younger public, as not. P = But the answer and the greatest satisfaction for an artist I think is to see the pre-sales of their tour, which are going very well, so I’ll see you at the concerts. Assante = Before closing the interview, give us another live piece. I = We do not know what to do, but we do it. Assante = Meanwhile, do you think about it, the next live event, when? P = We leave now for Japan in May, but then we come back, in June and July in Italy, then again abroad, and at the end of the year, we are back in Italy again. Assante = Very good. The dates found on the site of IL VOLO, on the Facebook page of IL VOLO, the album has a very simple title MUSICA…… and then, at this point, I speak, while they decide, they will not take much …. G = Of the new song or the last one? What do we do? G = What can we do? G = Then let’s make IL MONDO, the final …. P = See, three seconds ago I said “Let’s make IL MONDO” and they do not. G = Wait, let’s make harmony (Piero taps him on the head). He plays the central part (Piero), I play the lower part and he is the tall one (Ignazio). I = Are you there? We can start? 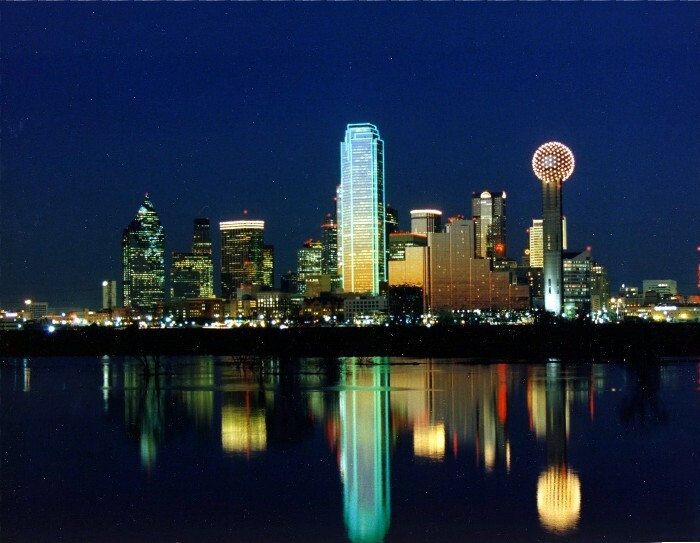 Assante = Thank you so much, it was a pleasure to have you here, come back when you want …. and thanks to you (to the public) for following us. I would say that the boys have always been kind and polite. 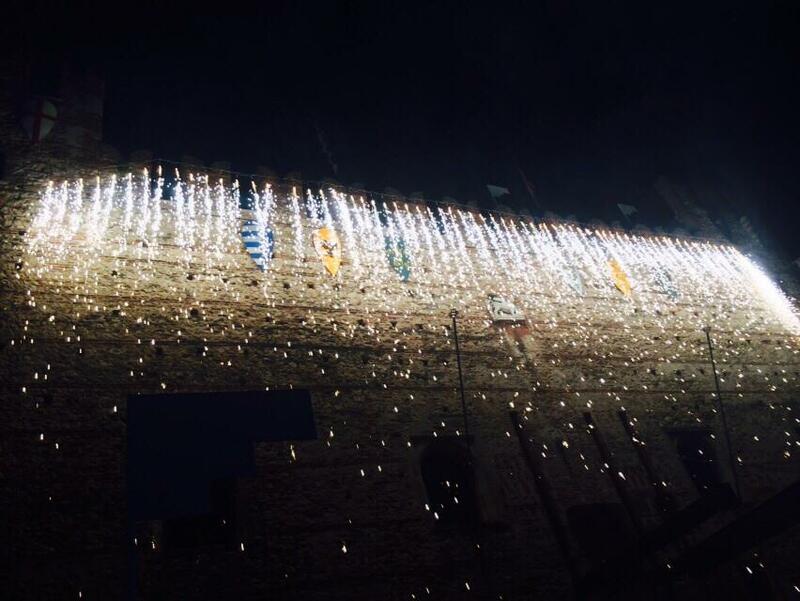 Assante is a journalist who, together with Castaldo and Monina, have never had good words and good criticisms about IL VOLO, indeed, they often denigrated and wrote badly about them …….. but without ever knowing them personally. This year in Sanremo the boys have personally met Monina and Castaldo and now, with this interview also Assante. Undoubtedly the tastes of these three journalists-critics, are deeply distant from the style of our boys, but this does not allow them to denigrate the hard work of these young people and even sometimes to despise them. But now they have known them and have changed their opinion on them, not on their style, but certainly on their personalities, because these journalists have recognized that Piero, Ignazio and Gianluca are very simple guys and prepared in the music field. Their votes at Sanremo 2015 did not arrive at 4, now they gave 5 1/2 and even 6. 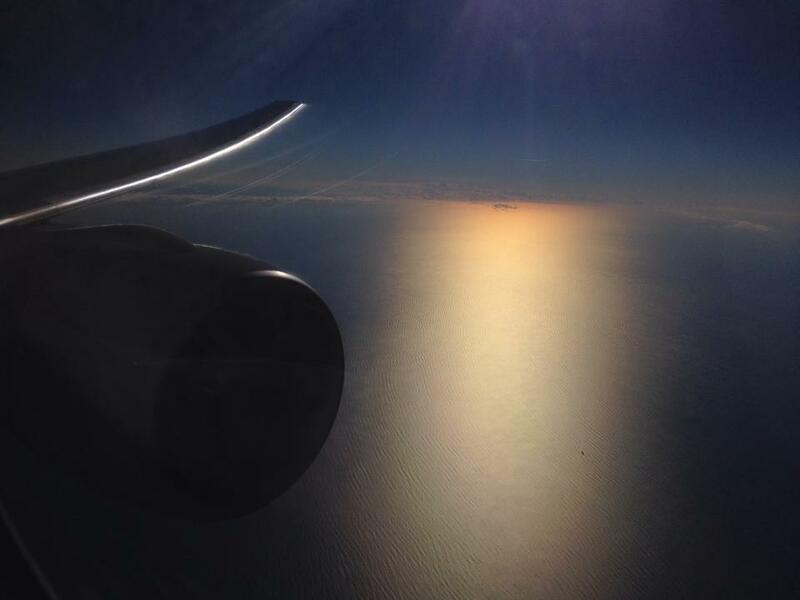 The road is long but the journey has begun …. I noticed in the interview that the boys, always in a polite tone, managed to remove “some pebbles in the shoe”. Good guys, heads held high, we are with you. Closing This Post With the Cutest, Sweetest Video Ever!